Manchester United look to continue their impressive recent run of form as they welcome Burney to Old Trafford. 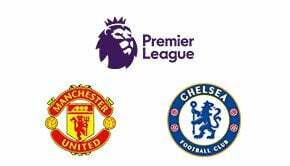 Ole Gunnar Solskjaer has now won six successive Premier League matches – and that doesn’t take into account the cup victories. There is a definite shift in mood at Old Trafford and United fans will be expecting another three points from the visit of Sean Dyche’s Burnley. Top bookmakers will be favouring a home victory here. Burnley have had an impressive run of results of their own recently. After dropping down to 18th the Turf Moor side have climbed up the table thanks to three wins and a draw before the trip to Manchester. It is difficult to see them getting anything from this one however and a point would be a good result. Manchester United have been playing some much more attractive football since Jose Mourinho left the club – with Marcus Rashford and Paul Pogba in particular looking in devastating form. Old Trafford will expect some goals from their side but Burnley have only allowed two in their last four games. Burnley went on a terrible run of one win in twelve games earlier in the season – culminating in a 5-1 defeat at home to Everton. 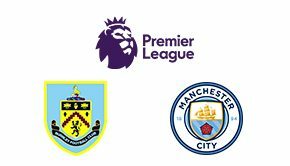 Many club owners will have shown Sean Dyche the door – and some sports betting sites will have expected that – but he is well regarded at Turf Moor and has seemingly steered the club round. A win here might be asking too much however and United could win this 2-0. All the United attackers have looked like players transformed since Solskjaer took over but Rashford has looked particularly good. Even the highly regarded David De Gea has not enjoyed a particularly great season but he has started to post a few clean sheets recently. .
Manchester United won 2-0 at Turf Moor earlier in the season and have not lost to Burnley since 2009. Although they avoided each other for much of the 1990s Manchester United have not lost to Burnley at Old Trafford since 1962. Burnley have scored more goals in their last four games than they did in the previous eight. If Manchester United do beat Burnley Ole Gunnar Solskjaer will have broken the Premier League record for the number of wins at the start of a regime. Sean Dyche is the second longest serving Premier League manager. His tenure at Turf Moor is just 17 days shorter than Eddie Howe’s at Bournemouth.